Marlborough Black Garlic. "Black NZ Gold". 40gm. 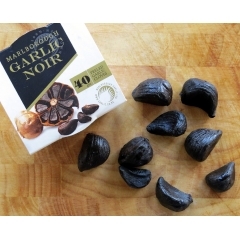 Home > Spices > Marlborough Black Garlic. "Black NZ Gold". 40gm. A regular garlic bulb is transformed through a type of fermentation process that occurs when it’s slow roasted over a long period (30-60 days). The process has been around for thousands of years and black garlic has been known as an Asian medicinal product for a while. 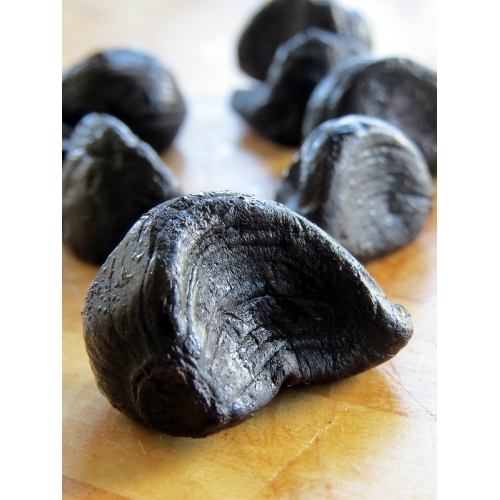 Black garlic occurs naturally as the sugars and amino acids are drawn out of the garlic during the slow roasting. The elements produce melanoidin, a dark-colored substance that is responsible for the blackness. It’s being produced here in New Zealand (tick) by Marlborough garlic growers (tick), and it tastes terrific. Garlic is already high in antioxidants but black garlic has been found to have twice the antioxidant properties of conventional garlic. The result is soft and chewy texture with a juxtaposition of ‘is it sweet or is it savoury’ with its caramelised/balsamic flavour profile, with lingering garlic undertones. 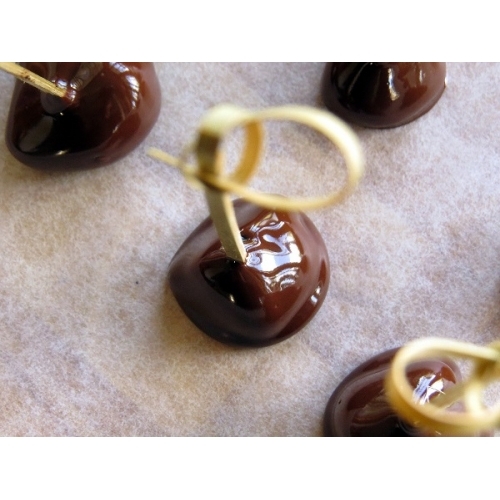 From a delicious addition to an antipasto platter, pasta or seafood, to a gourmet pizza topping, it’s very versatile. It’s priced at a premium so you may wish to use it sparingly. 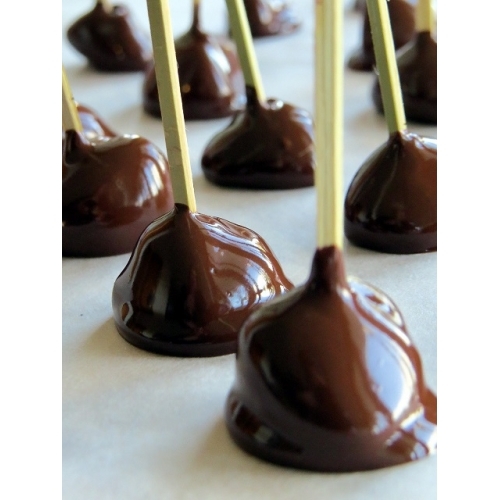 Oh, you can also dip it in dark chocolate.